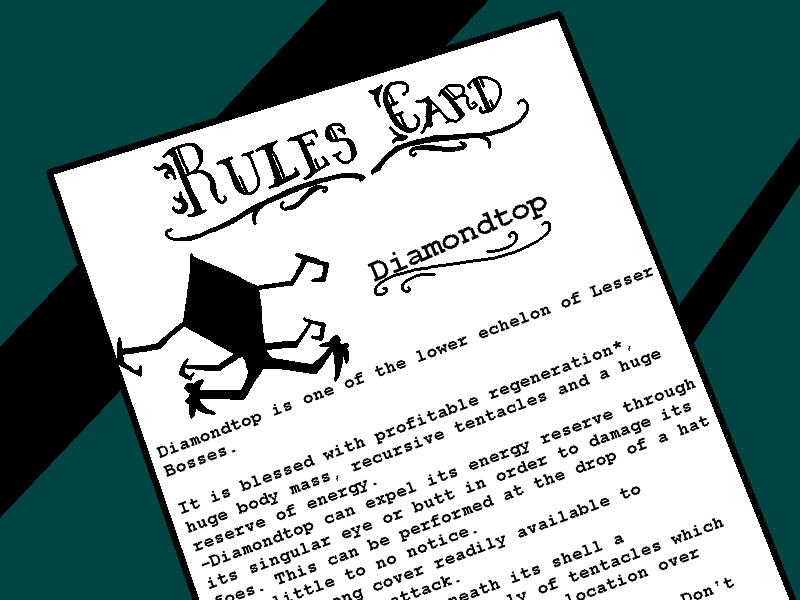 Diamondtop is one of the lower echelon of Lower Bosses. It is blessed with profitable regeneration, huge blah blah blah. No weak spots apparently, has this cool tentacle attack.